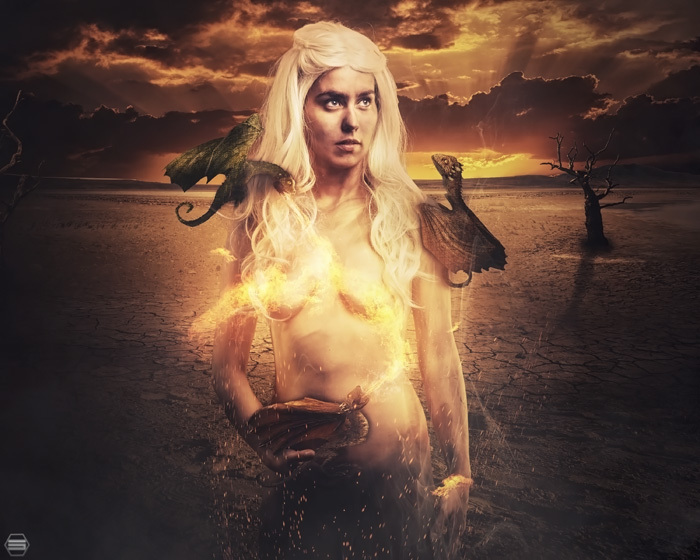 "This is a concept I've been dying to execute since the very first season finale of Game of Thrones. I am hugely indebted to both ArtistiCurves and Soul Design for putting their skills to this project and I could not have done it without them. This scene, from season one, was one of the most satisfying experiences I've ever had with television and was also one of the worst cliff hangers to be left on for a whole year! 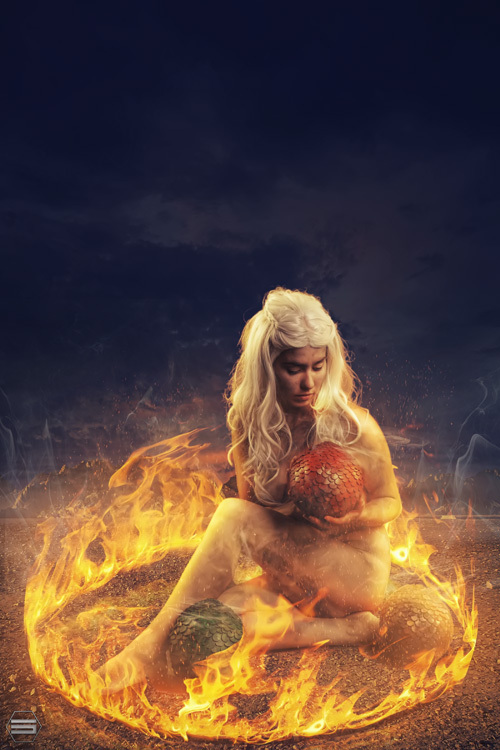 It is Daenerys' bond with her dragons and her mission for freedom and justice that drew me to her, although at the moment it is those self same reasons that has me frustrated with the character. As someone who has not yet read the books, I cannot wait to see what season five holds for us! 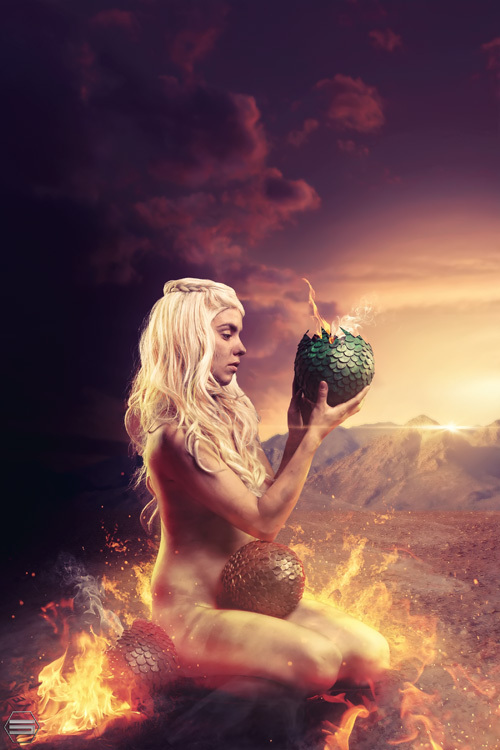 I really hope Dany can go back to being the epic Khaleesi I knew her as - or else I may have to find a new character from the series to cosplay. Happy Game of Thrones-ing everyone!"